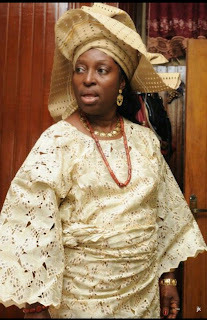 Chief Mrs. Modupe F. Fapohunda, a former Registrar of University of Ado Ekiti has been abducted. According to her daughter the kidnappers, 6 in number broke into their Oba-Ile Akure home last night and took her away in her car, a red Lexus rx350 SUV with plate number Lagos FST 837DD in Akure Ondo state. They also made away with valuables. ACTRESS UCHE IWUJI’S HUSBAND CONFIRMS MARRIAGE SPLIT!